Much as I absolutely love my Springtime tenching I do still wonder if we’ve not lost something special now that there’s no real opening day for the coarse season anymore. I used to find the weeks leading up to June 16th almost unbearable as plans were laid, swims raked and prepared and the tackle shop visited on an ever increasing frequency to top up on the latest must have items. Nonsensical as it sounds I’m not entirely sure the tackle trade has overly benefitted from year round coarse fishing as the enforced absence was undoubtedly the cause of some serious ‘retail replacement therapy’. I well remember my local angling shops absolutely heaving with customers in the run up to opening day, sadly not a sight to be seen too often these days. 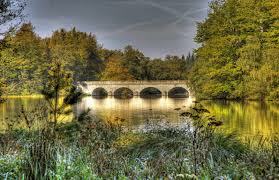 Virginia Water lake in Windsor Great Park was a regular June 16th haunt for the young Salter back in the day. June 16th is synonymous with tench fishing, with magical misty dawns, quivering floats and, more recently, screaming buzzers. As a kid I used to cycle over to Windsor Great Park after school to bait up our secret, and sometimes forbidden, spots with as much sweet corn as my pocket money would buy. Sleep was impossible the night before the off and many a time I remember trying to thread my line through the rod rings with shaking hands in the pre dawn gloom. Whilst the excitement was top drawer the fishing could be mixed. Yes I can recall some big bags of tench and bream, including a shared 100lb haul when the plan came together and both the weather and the fish obliged. But there were the other times…when the chosen swim was taken by other anglers, when the fish decided to spawn rather than feed or when the weather turned nasty and the lake just shut down. But in 1995 we were allowed to fish all year on still waters and I jumped at the chance to get at the tench earlier in the year when they were building up weight ready for their seasonal nuptials. We soon discovered that late April and May were prime months and that an early heat wave in June could often signal an end to the most productive tenching. It became clear that by waiting until June 16 we were missing some of the best times of all and that this arbitrary date offered no real guarantee of protecting a spawning period which could occur anytime from late May to July. This year I’m putting in the hours again on the rock hard Englefield Lagoon – the Reading and District AA water that once produced the record bream and which still holds some huge tench. With now four blanks in a row I’m pleased to have several back up venues where confidence can be restored and nets turned wet and slimy. These lakes have given me plenty of fish to 7.05 which is big enough to keep me going in between trips to tougher waters. So how were we to rekindle that June 16th magic in the new era of year round fishing? I tried barbel fishing on the Kennet for a couple of years. Not only did it seem wrong but it was usually unproductive. Even in the golden years of this river we never found the barbel to be particularly interested in anglers baits at the outset. I usually preferred to wait until July, when a few hundred gallons of hemp, maggots and casters had been obligingly hurled into the river by my fellow anglers, before seeking to tempt some chunky whiskers on to the hook and into my landing net. I remember one nice morning on the Thames catching chub and perch on the waggler and mag before the boats got going and I wouldn’t mind repeating that again on opening day. However, I’ve got a better plan for 2013. Luckily there are still a few lakes and pits around the Thames Valley where the traditional close season is enforced. This is either because they are in an SSSI area or because the club rules or owners preference demands it. There’s one particular water that I’ve had my eye on for a while now that could help me increase my personal best tinca from a respectable 9.11 to something a bit special. So there’s every chance that June 16th for me will be more of the same but somewhere different. 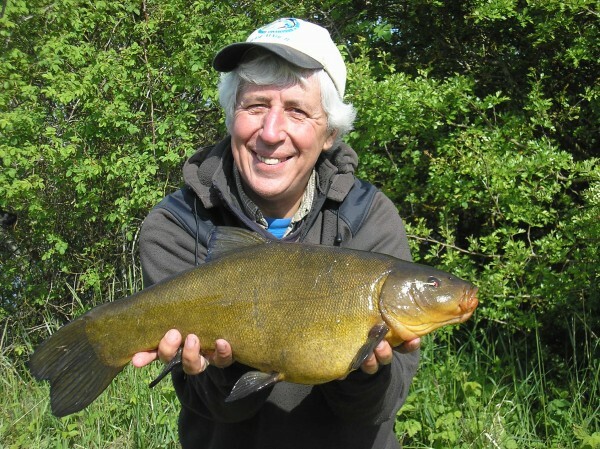 My target this season is a tench bigger than this 9.11 personal best from Reading and District’s Englefield Lagoon – I’ve a feeling the cold spring means that the big girls won’t show in numbers much before June 16th. I do have a plan B if the new lake is either unproductive or too crowded. A possibility I guess since opening day falls on a Sunday this year. My fall back is to visit to one of my favourite Thames chubbing venues in Oxfordshire to try out a new method. Last year Dave Harrell showed me how he bags up with chub and sometimes barbel using Bait-Tech carp pellets on the float. 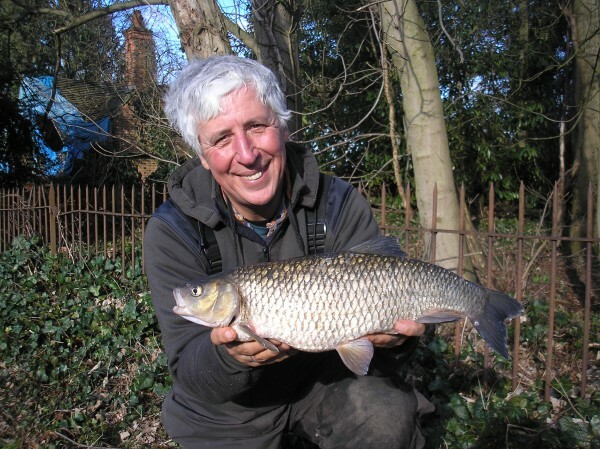 I’ve already has some nice fish in the winter using Dave’s excellent Speci Wagglers and I reckon the wag and pellet method would work a treat for those big brassy Thames chub. The stretch I have in mind has plenty of far bank cover but it is well beyond catapult range for casters or maggots. However, 6 and 8 mm pellets will ping across the river with ease and I’m hoping that regular feeding will tempt the fish out from under the trailing willow branches and into my catching zone. Best of all no one will have tried it so at least the chub will have no reason to be wary of the method. Anyway, close season or not, it seems that we can all find ways to make June 16th more special than it probably deserves to be. I hope whatever plans you make bring you success and that your season, whenever it starts, is a good one. Had a fair old time debating close seasons over the years and written three or four articles on it myself, but it’s got me nowhere. 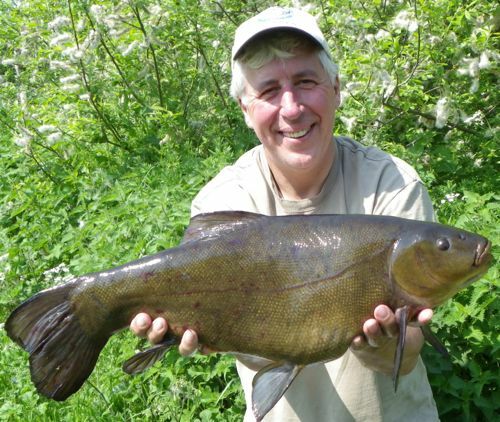 You’d be welcome to have a bash in the hotel’s weir pool (you know where), but you are right about the barbel not waking up until July and often late in that month. Some of those customers you refered to who crowded the shops around June 16th often, according to our local shop (now closed), bought a pint of maggots, a rod licence, a packet of hooks and 100yds of line and they stopped fishing when one or the other ran out. :o) Most had packed in by the August Bank Holiday anyway. At least today’s anglers are more the long-stayers (meaning they stick with it throughout the year). Good luck on your morning though Martin, will see you soon. The clue’s in the name David. Sometimes I write about ‘fighting’ for our sport of fishing and sometimes I just write about ‘fishing’. I do both…it is possible you know ! And, as is so often the case, we dodge answering the question with a bit of pithy banter. The question is Martin, do your members want a close-season? If the answer is yes then what are the Trust going to do about it? What can the Trust do about? I actually thought a sensible question deserved a sensible answer. Clearly not. Like I’ve already said David I’m happy to have a debate about the close season but that wasn’t your original question. It’s a thorny issue for the Angling Trust as it divides opinion. Given our limited resources it makes more sense for us to concentrate our efforts on the issues that unite us. The recent anglers survey that we helped carry out contained a question on retaining the current close season. When I get a moment I’ll dig out the results. To be honest David, reading your first remark I thought Martin’s answer was quite appropriate given the limited amount of comment you provided. It is HIS blog after all and covers lots of topics, not just Trust matters. However, on the matter of whether there should be a close season or not, I believe the Angling Trust would be well advised to stay well clear of this very divisive topic. There’s nothing I would like better than to see a worn out Victorian law abolished and let local people, clubs and fishery owners, decide for themselves whether to have a close season and to set their own appropriate dates. In the past I have found that (roughly) 50% of anglers or in favour of retention and 50% are in favour of abolition. The Trust has a small enough membership as it is without upsetting 50% of them by acting on one policy or the other. Far more damaging to rivers are these damnable hydro systems, which is where my efforts are going at the moment. Watching the echo sounder and understanding spinning rod lure weight what you see above. Time spinning rod lure weight on the water. as entice pertaining to largemouth bass directly to the spot. GT being released back to the sky, it’s a winner.